Here members of the Archway Academy, give their personal accounts of why they took up Tai Chi Chuan, and what benefits they have found from practising it. This page is added to as contributions come in. Perhaps one of the more original testimonials comes from a member of the Children's class at Woodlands Montessori School. Neville Cote writes...... I've always had an interest in Chinese martial arts and in particular the internal/Daoist branches, which is probably down to the fact that I watched too many Shaw Brothers movies when I was younger and the Daoist martial artists were often portrayed as dark and mysterious and were usually the bad guys! I had always planned to take it up but in the end lacked the motivation to do so, however it was when I had some relatively serious health issues that I actually did something about it and on the advice of a doctor I looked for a school where I could start to learn. Over the first few years my health improved greatly and I was able to explore the martial side further which has hooked me ever since. The benefits I have found from practising it are - many! Initially I took it up for the health benefits which have increased the longer I've practiced. I probably feel healthier now than I can remember ever feeling. There is also the seemingly never ending depth to the art form which always gives you something on the horizon to work towards. The martial aspect constantly challenges me and you also meet and make a lot friends along the way, It is an integral part of my life. Sean Lapham offers the following experiences:... I’d seen people doing tai chi on TV, and I always wondered what those mysterious, slow movements meant. I went to a couple of courses, but I didn’t keep them up because of house moves, changes in my job and things like that. I read a book about internal martial arts that said you could move quickly by practising moving slowly, you could beat hard styles by practising soft styles, and you could learn to fight while healing up all your old sports injuries. I was intrigued by these (apparent) paradoxes. How could all this be true? Then, in one of my end of year reviews at drama school the movement department recommended tai chi for me, and that was the final push that sent me through the doors of a tai chi club. I’ve been doing it for 13 years now. The biggest benefit I’ve found from tai chi is its versatility. It's an endless hobby, and there's always something to learn about what you're interested in at any one time. In my early days I wanted to have better control over how I moved, and it helped with that. More recently my interest in the martial aspect has grown, and tai chi has been excellent in that respect. In years to come, I think I’ll get more and more interested in the health side of it, and I’m sure it’ll be good for that too. And, of course… it’s fun! Brian Cook's insights show a different approach....As a bullied preteen I read Yearning K Chen’s book (purportedly the first book published about Tai Chi) which was intriguing but greatly puzzling. 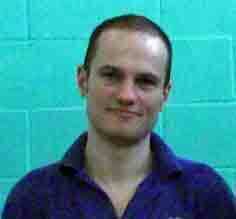 Later in my teens I joined evening classes in Tai Chi Chuan and Kung Fu in order to enhance my survival chances. After a couple of years the classes moved out of reach but I had benefited from disciplined purposeful exercise. More than a decade later I was itching for a return to Kung Fu but found many Tai Chi classes were available by then. The nearest teacher taught Wu Style Tai Chi and what I learned and saw in a few lessons had me hooked. At first it seemed like nothing but with practice and developing understanding, what seemed easy got harder and it was clearly exercise. However, it was exercising that went beyond physical jerks and flowed, involving the mind and spirit as well as the body. I came to understand I was acquiring skills in a sophisticated martial art. Except for some very minor diversions, my whole experience of Tai Chi has been with the health and martial aspects being inseparable. As Grandmaster Wu Tai Sin asked – “What is self defence but health protection?” For me it has now become reflected in my work and all aspects of life. I am certain that it has helped me to survive some of life’s harsher blows. I have now practised Wu Style Tai Chi Chuan for 24 years. Before, and since, I have had opportunity to experience other exercise systems and martial arts – often from leading exponents. For several years I studied both Yoga and Shiatsu to practitioner standard but in the end they had to give way to Tai Chi. 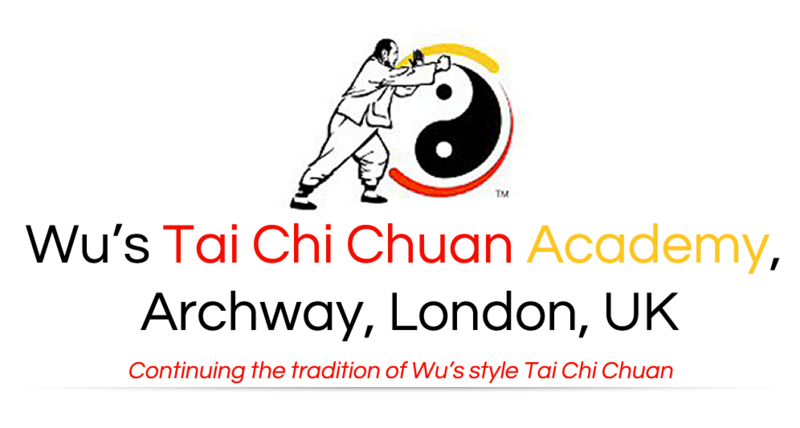 I commend the Archway Academy which, along with providing regular classes to all levels, has developed into the place of assembly for Disciples from the UK and Europe - especially during visits from Grandmaster Eddie Wu Kwong Yu. I started Tai Chi classes in 2000 whilst still an art student, mainly because I'd read it improved mood and focus, ultimately providing martial skills, and something had to be done to offset all the late nights and weekend party damage back then. I'd been excluded from contact sports when I was younger and had a great fear of them, so the methodical, structured & mind-focused approach of Tai Chi training was a bit of a revelation, enabling me to build up confidence gradually at the same time as learning something old and beautiful. I started just doing 5 minutes of practice every day; now, if I do less than 40 minutes' daily practice I really notice the difference. Since my days as an art student I've taken a bit of a different direction and now practice as a medical herbalist, and Tai Chi has been a helpful anchor during the additional 5 years of study required and subsequently setting up my own practice. Learning Tai Chi is a very gradual process but I definitely feel that my increasing involvement with Wu style Tai Chi has helped me improve my confidence and internal focus even in times when support for those things was absent in other areas of my life. Design by Don Spargo ©2016 The Tai Chi Chuan Association.